Featuring special guests Bob Sneider on guitar, and Ali Ryerson on flute. Formed in 2011, this 12-piece ensemble performs the music found in the "sweet spot" where jazz, funk, gospel, and the blues intersect, in a fat, horn-rich setting. The SOUL- JAZZ Big Band performs fresh, new arrangements of music by Lee Morgan, Stevie Wonder, Freddie Hubbard, Cannonball Adderley, Herbie Hancock, as well as hot originals by trombonist and leader Russell Scarbrough. Made up of the very best Rochester, NY musicians, and young jazz stars, the band has performed at the Rochester International Jazz Festival, on live jazz radio, and throughout the Rochester area. With a career spanning nearly five decades, jazz flutist Ali Ryerson has consistently ranked among the top flutists in the Downbeat Jazz Poll for well over a decade. Ali grew up in a musical family. Her father, Art Ryerson, was a renowned jazz guitarist who got his start with the Paul Whiteman Orchestra and later became a top studio player in NYC, recording with everyone from Louis Armstrong to Charlie Parker. Ali Ryerson has carried on the family tradition, becoming an international touring and recording artist, with performances ranging from Carnegie Hall to the Kennedy Center in Washington, D.C. In addition to playing major jazz venues such as the Blue Note in both New York and Japan, and Ronnie Scott’s in London, Ryerson has made festival appearances worldwide. Over the years, Ali has recorded and/or toured with jazz greats such as Red Rodney, Roy Haynes, Kenny Barron, Kenny Werner, Frank Wess, Hubert Laws, Stephane Grappelli, Harold Danko, Art Farmer, Mike Mainieri, and Joe Beck, as well as a guest appearance with Wynton Marsalis and the Jazz at Lincoln Center Orchestra. Ryerson has released over two dozen albums on major jazz labels, including Concord Records, DMP, Capri, and legendary jazz producer Bob Thiele’s final jazz label, Red Baron. When Ryerson’s groundbreaking Jazz Flute Big Band released their debut CD, Game Changer on Capri Records, the album hit the ‘TOP 10’ on the US Jazz Charts for six straight weeks. Before joining the Eastman faculty in late 1997, Sneider toured for several years with two-time Grammy Award winner Chuck Mangione. Other notable performers with whom Sneider has performed, toured or recorded include: Nat Adderley, Joe Locke, Don Menza, Lou Donaldson, Joey Defrancesco, Pat Bianchi, Gary Versace, Pat Labarbara, Grant Stewart, Ken Peplowski, Gerry Niewood, Chris Potter, Roy McCurdy, Eric Alexander, David Hazeltine, Frank Strazzerri, Jon Faddis, Keeter Betts and frequent appearances with the Rochester Philharmonic Orchestra Pops (guitar/banjo). Sneider has performed in major festivals, concert halls and jazz clubs throughout South America, Central America, North America and Europe. Sneider is a graduate of the University of Rochester where he studied with Bill Dobbins and Ramon Ricker. Growing up in Brockton, MA, Sneider’s mentor and teacher was Chet Kruley – a veteran of the Fletcher Henderson, and Nat Piercebands. Russell Scarbrough’s compelling, visceral works reflect a diverse array of musical resources, drawing inspiration from both the jazz tradition and from contemporary classical music. His music is filled with stimulating themes, with rich contrasts and unpredictable rhythmic energy. 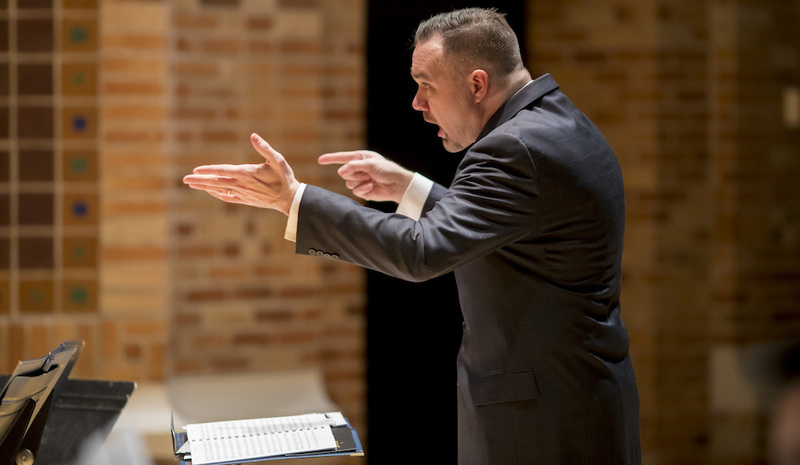 A six-time ASCAP Plus Award recipient, Scarbrough’s works are regularly performed by jazz ensembles, orchestras, and chamber groups internationally, and he makes frequent appearances as an educator, a conductor, and a performer. Jazz soloists such as Randy Brecker, Jon Faddis, Ali Ryerson, Richard Elliot, Clay Jenkins, Charles Pillow, Eric Alexander, and Stefon Harris have performed his compositions. Recent performances have taken place at Carnegie Hall, the National Flute Convention, the International Trombone Festival, and on the steps of the U.S. Capitol. Russell Scarbrough is Assistant Professor of Jazz Studies and Jazz Band Director at Houghton College. He also directs the Canisius College Jazz Ensemble.